We worked with Milton Park on the fit-out of these speculative office buildings in the Science Vale UK Enterprise Zone. 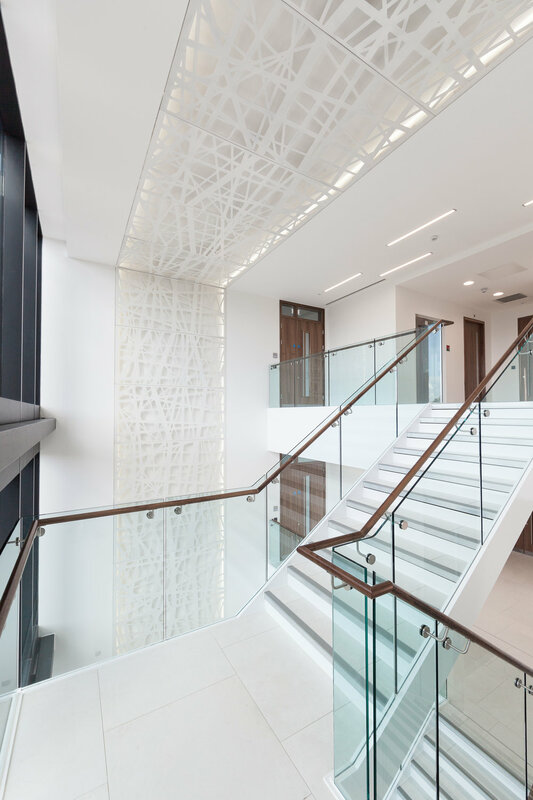 We were appointed to design a memorable bespoke entrance reception for a new building at 101-102 Milton Park in Oxfordshire. Our concept sees the entrance reception as a precious bright pearl within its dark shell when viewed from the outside, providing a contrast to the sold dark exterior of the building. 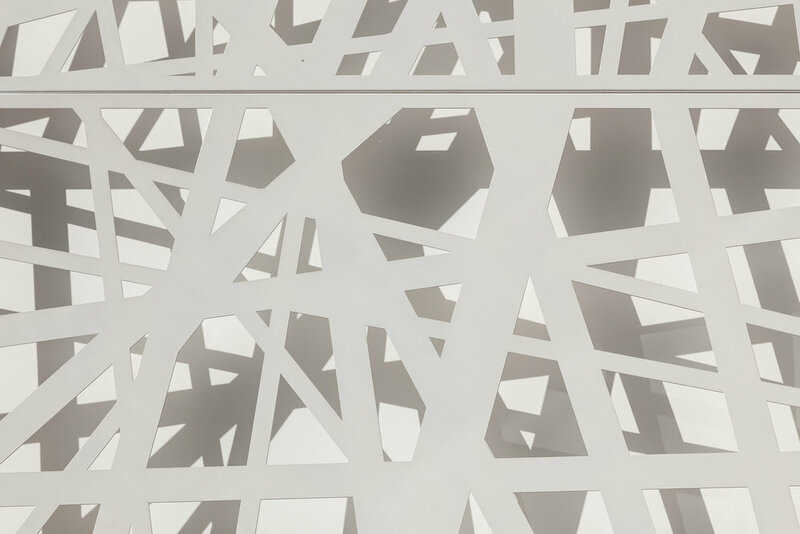 A glazed screen is laser cut with an intricate geometric pattern to be both beautiful and practical; the delicate pattern provides a human scale to the triple height atrium, as well as allowing openings large enough for access to remove panels for maintenance. 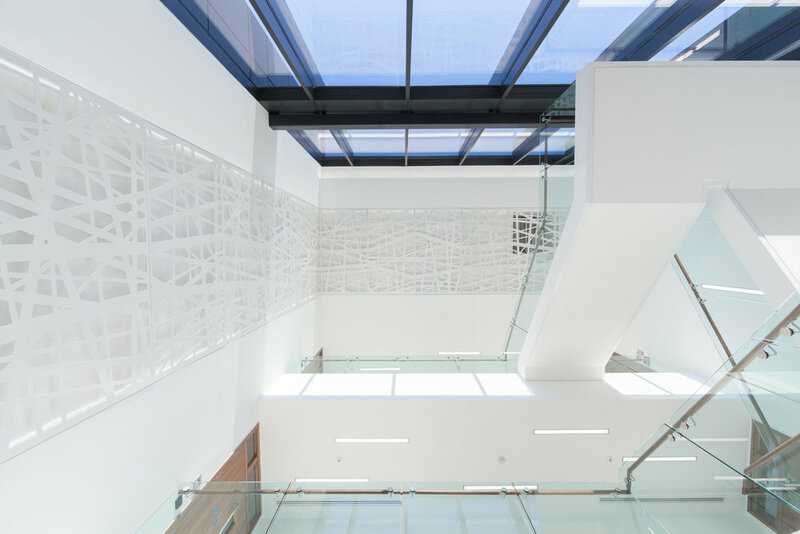 The backlit screen wraps up the wall and along the ceiling to provide a consistent language for each floor accessed off the atrium, creating a focal point for the building. We worked closely with the fabricators to deliver an exceptionally high standard of finish. Our design was nominated for a British Council of Offices award.